Happy Hump Day, folks! I hope you’re as excited to see family and friends as I am. Besides all of the great food we will have tomorrow, plenty of sunshine is on the Thanksgiving menu for all of us to enjoy. Today is going to be a great day for some outdoor activities. Plenty of sunshine will brighten our day as a high pressure system is settled over Arkansas. Calm winds will be predominantly out of the southwest today, which will help maximum temperatures reach the low 50’s. 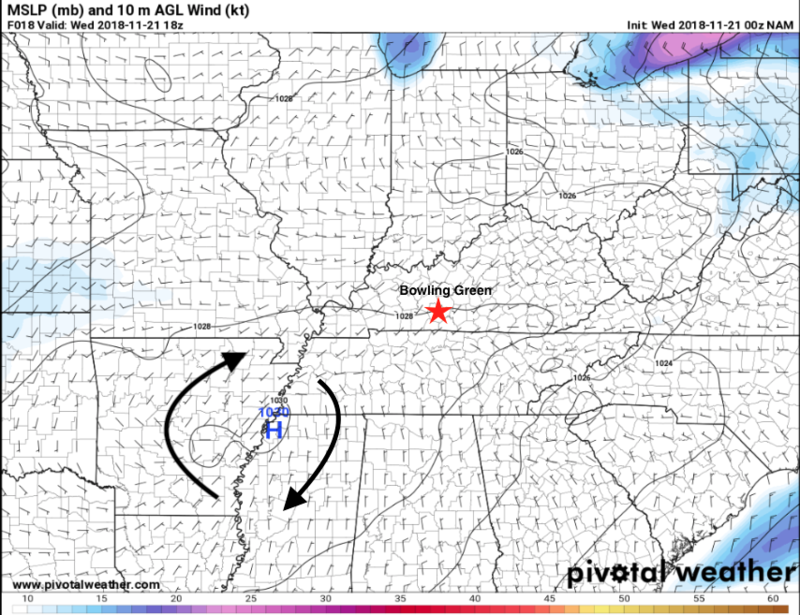 Winds will be out of the southwest because of the location of the high pressure. Tonight will also be mostly clear, but cold. Low temperatures will bottom out in the lower 30’s, so don’t forget a heavier coat if you’ll be out and about. What more could you ask for? 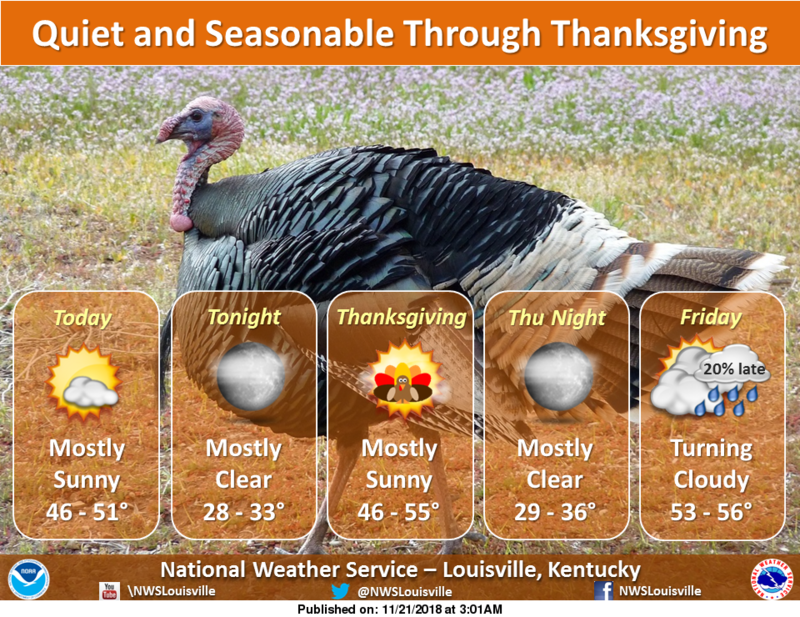 We will all be thankful for another day of sunshine and mild temperatures. Temperatures will be perfect for a backyard football game before we dive into potatoes and turkey. Thermometers will hit the mid 50’s tomorrow afternoon, with more calm winds expected. 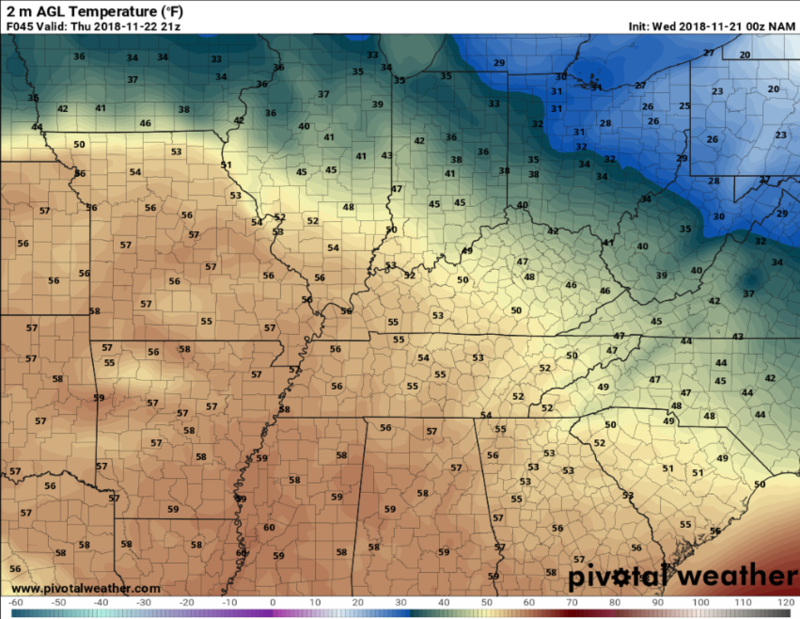 Below, the NAM model shows expected temperatures around 3 pm tomorrow. By dinner time, temperatures will begin to drop. By the overnight hours, temperatures will be in the mid 30’s once again. The overnight hours of Thursday into Friday will be mostly clear. As the day goes on, clouds will be on the increase. Temperatures will reach the mid 50’s before rain enters our region late Friday. If you plan on doing some Black Friday shopping, don’t forget your rain gear. Rain is expected to enter our region by the afternoon hours, and lasting overnight into Small Business Saturday. Gusty winds will also be possible. Low temperatures will be a little warmer than the past few days, only in the mid 40’s Friday night. That wraps up today’s forecast. 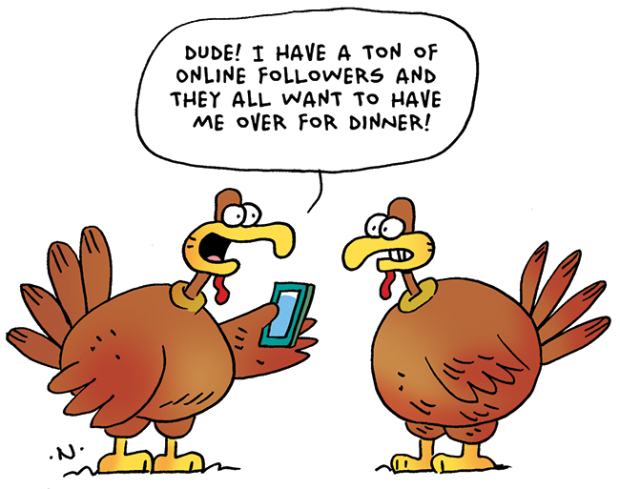 Hope you have a great Wednesday and Thanksgiving! Make sure to check back here tomorrow and follow @wxornotBG on Facebook, Twitter, and Instagram!